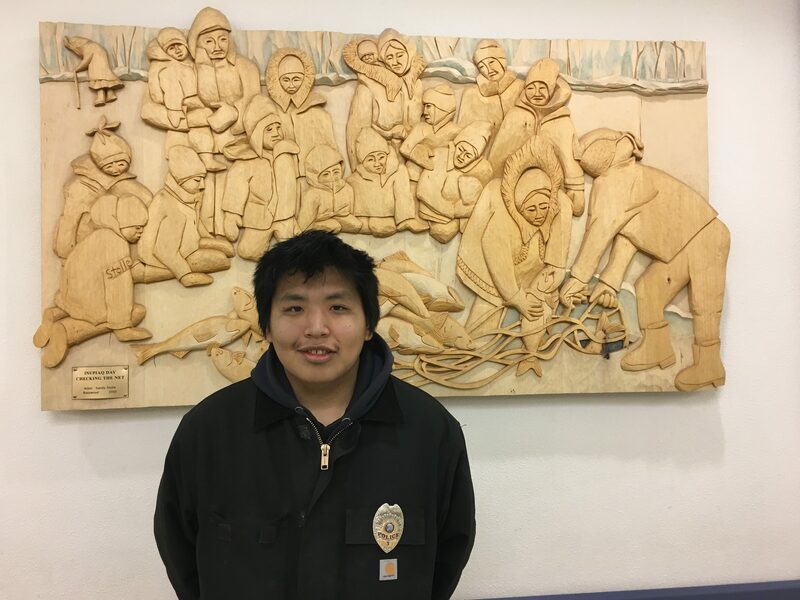 This week we’re hearing from Paul Brown III in Noorvik. Brown is the Village Police Officer for the community. BROWN: I was born in Anchorage, I was raised here in Noorvik. I lived here my whole life. I’m 21. I got hired in March, 2017. Being a VPO is a privilege. We patrol the town, we make sure people are safe and we protect people, and that’s a privilege. I like protecting people. I like patrolling. I like making sure people are safe. Responding to calls. The hardest part of the job is arresting people. It’s unfortunate, but it’s something that needs to be done to protect people. You know, we arrest them and the law is enough of a deterrent for people not to commit crime. You know, people make mistakes, and people learn that there’s consequences for their actions. There’s definitely some misconceptions about VPOs in Alaska. I think there’s VPOs that are not doing their job so well, and they get the media coverage because they’re bad. But there’s good police officers out there that don’t get the media coverage. A good VPO is somebody that has a sense of duty, somebody that gets along well with people. Knows how to talk to people. I definitely want to remain a law enforcement officer for the rest of my career until I retire. I do plan on becoming a VPSO which is different and I do plan on becoming an Alaska State Trooper. They’re top of the line. They’re awesome at what they do. They do a good job and it would be awesome to be a part of that.